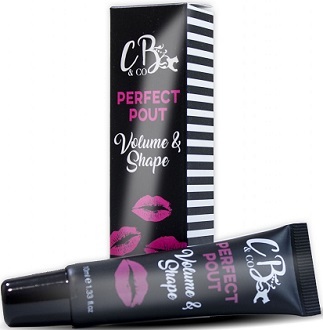 We’ve taken a look at Cougar Perfect Pout Lip Plumper, which is a product design to improve lip shape and give it more volume. It hydrates the lips to give them a soft texture and decreases aging effects on the lips. This helps the lips to have a much more consistent and aesthetic appearance and gives them clear distinction. This review determines how successful the product might be at doing these things. The menthol, lactate and Portulaca extract all help to improve blood flow to the lips. The importance of this is that blood then fills the lips and causes them to expand so that they become plumper and more emphasized. The hyaluronic acid then holds all that moisture so that it does not escape and cause the lips to shrink rapidly. The vitamin E was added as an antioxidant to remove the harsh chemicals that are often responsible for damage to the lips especially the kind of damage that results in faded and sparse lips. This is the anti-aging effect that the manufacturer mentions. The manufacturer only states to use the product as needed. We have a problem with these directions because it does not give the customer any clarity on the best way to use the product. The method of application can have an effect on how well the product works. It seems that the best way to apply the product, though not said by this manufacturer, is to first apply to the top of the midline of the lip and apply to the rest in a diagonal and crossing fashion. The purchase price of 0.33 fl oz when bought online is about $6. The price does not include shipping or taxes for any country outside of the United Kingdom. The price of this product is quite low, but they don’t offer discounts for buying multiple products together which some leading manufacturers do. We couldn’t find any evidence of a guarantee offered from the manufacturer’s side. We believe a clear and definitive guarantee is very important in a product because it shows that the manufacturer is very confident in the effectiveness of their products and they don’t want their customers to be unsatisfied. When manufacturers do not offer a guarantee that makes it the customers responsibility if they don’t receive the results they wanted, even though the fault actually lies with the manufacturer. The price of the product is very low and it does contain a number of potent but all natural ingredients. The problem is that we are not convinced that this product will work completely because the manufacturer does not offer a guarantee which shows that they have reduced confidence in their own product. Customers might find more satisfaction in a product that might cost a little bit more but is a lot better established and a lot less of a risk to purchase.